Your personalized Teacher’s kit (data CD or downloadable file set) includes the Certificate templates for each level with your name as Reiki Master Teacher and the lineage chart with your name on, and the full handbook in pdf for all levels of Reiki so you can jump start offering your Reiki classes. After the class, you are encouraged to practice the attunement process by attuning yourself and the objects around you which you use daily such as your musical instruments and cookware (it’s effective to harmonize them and yourself profoundly). It’s most important to live as your true self and naturally glow and spread the pure Reiki-ful vibration wherever you are. Enjoy your soul’s purification and growth as you go on living with Reiki. If you have taken your Reiki 3 and previous levels elsewhere or sometime ago, we strongly recommend you to take the [Reiki Refresher Attunement & Lesson] to review and cover the difference before proceeding to your next class. 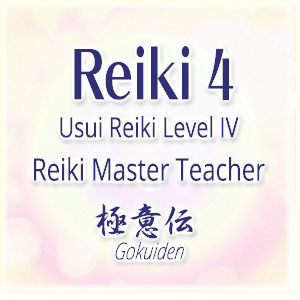 All Reiki 3 practitioners are welcome to our Reiki 4 Master Teacher class!